Should you upgrade your existing ERP System or make the switch to a Cloud-based SaaS ERP Solution? We know that many of you probably stick with your current IT Provider, even if you aren’t truly satisfied with them and their software solutions. 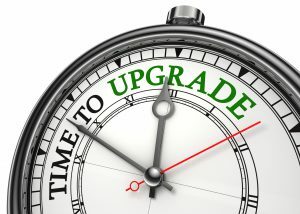 What should you do then when they mention that it’s time to upgrade your existing on-premises ERP system? Should you go ahead with it or should you look into perhaps upgrading to a cloud-based SaaS ERP solution? This can be a difficult decision for many business owners. Some have invested hundreds of thousands of dollars ($millions even!) in their existing system, which is now already out-dated. It’s not easy to simply let go of the system after about 5 to 10 years. Others just don’t have the time to begin looking into alternative software systems or IT Service Providers. Then, there are some who simply aren’t sure about the ‘cloud’ or the benefits of Software as a Service (SaaS) so they stick with what they know. We’ve seen and heard it all! What’s important is that a business manager makes the best decision for the company not only for TODAY but for TOMORROW as well. Technology is constantly advancing and consumer demands are continuously changing and companies need to keep up. We tend to see that the companies that are able to keep up and succeed in today’s difficult economy are well equipped with the latest, most efficient and flexible systems. They are aware that new business requirements may come up at any moment and they want to tackle challenges head on without issue or headache. These companies value technology in the workplace and have realized early on that partnering up with the right IT Provider can make the world of difference. It’s not about going with the most popular software system on the market (which also usually tends to be the most expensive); it’s about finding an outsourced IT team that is flexible, attentive and determined and who provides IT solutions that are scalable, affordable and customizable. 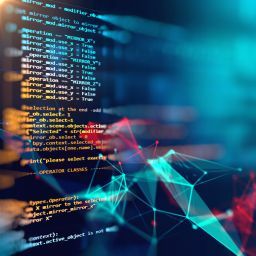 Today, businesses need regular and free software upgrades, affordable and timely ERP implementations, available support, and a software system that won’t become out-dated in 5 years time. Executives don’t want to keep pouring a ton of money into a system that has an expiration date. 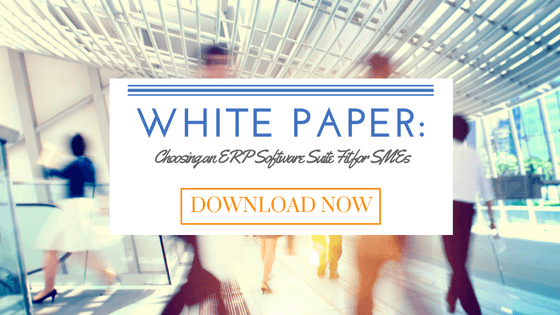 What are the ERP implementation/activation costs involved with the upgrade? How long will the ERP implementation/activation take? What hardware requirements do they need, if any? What does the new system version consist of? Do the features and functionalities of the system fit well with what the business needs today AND tomorrow and is it easily customizable? What are the yearly or monthly fees? What are the costs involved with another version upgrade? What other services can the Software Provider offer? How’s their support and user training? Are the IT experts easily accessible? 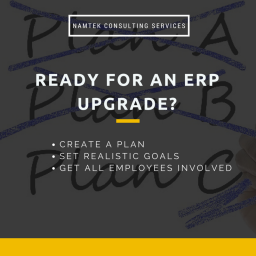 We’ve seen companies go through some very long and very costly software upgrades, pouring even more money into the same ERP system. We’ve also encountered business executives who refuse to upgrade their system due to the high costs and work involved. Instead, they’ll add “patches” (or as I like to call them “band-aids”) to accommodate to their growing demands and needs for many years. These “tweaks” save them a few years but eventually they will have no choice but to upgrade or switch to a new system in order to remain efficient. So, what should you do? 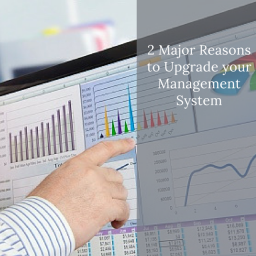 Should you stick with your current Software Provider and upgrade to their latest system version or should you scrap it and switch over to a cloud-based SaaS solution? This answer is very dependent on your business requirements. Begin by writing down what your team needs to move forward and to be efficient and then set your budget. Make sure you attach yourself with the right IT team and the best system for your business needs. 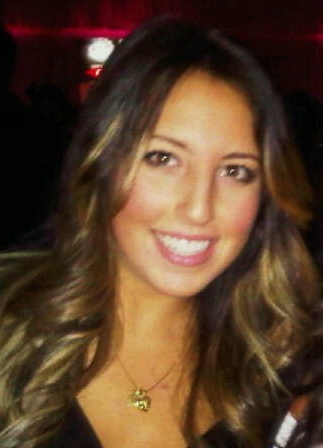 Don’t just think of today, but think of the future as well! If you require a consultation regarding your IT needs, click here.